This sharing book for free distribution, focuses on mental and emotional health. 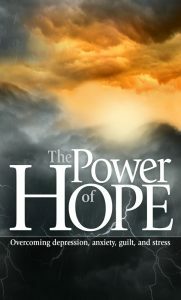 It focuses on how to overcome depression, anxiety, guilt and stress in the modern world. The authors, Julian Melgosa (Psychology, University of Madrid) and Michelson Borges (Journalist and Editor, Life and Health Magazine in Brazil) teach how one can experience a meaningful, successful life by discovering the answers to a path of peace, restoration, and healing.